In Quito, street lighting consumes 188 GWh per year of electricity, generating 36,000 tons of CO2e. This is equivalent to the consumption of around 100,000 households. By increasing the efficiency of the lighting, the city can make substantial savings. 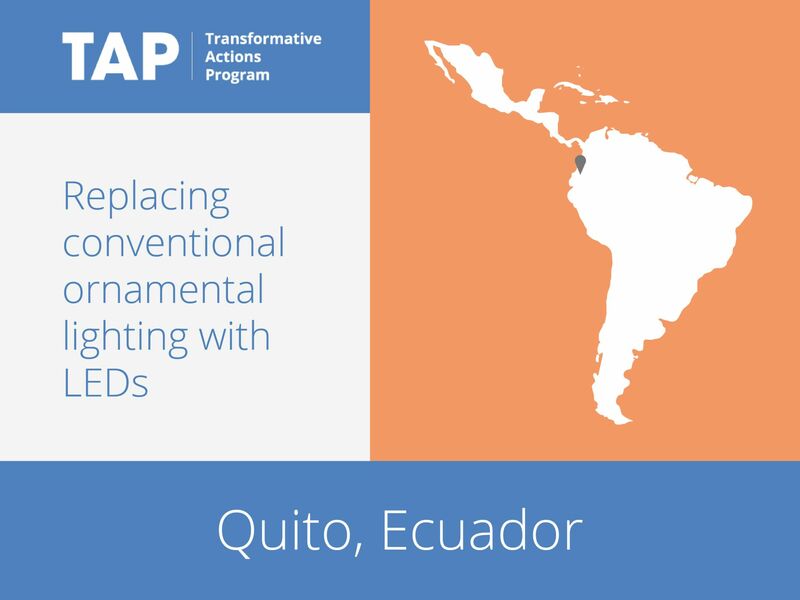 Quito is therefore replacing its conventional ornamental lighting with LED streetlamps. The aim is to halve the contribution of street lighting to the carbon footprint of the city, which will help Quito to achieve its emissions reduction target of 5 percent by 2018 from its baseline scenario.